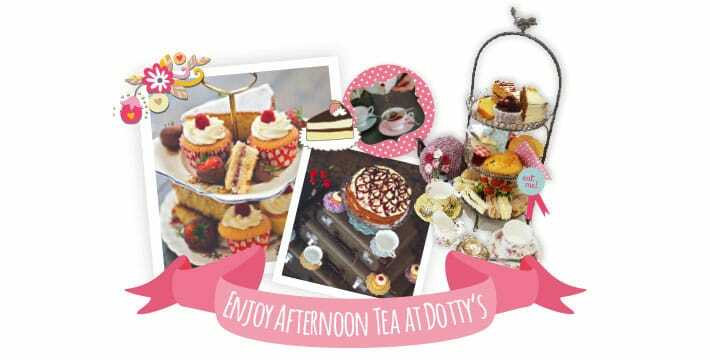 We take afternoon tea very seriously at Dotty’s. It’s special and deserves a little more love to give the very best experience possible, please book ahead to avoid disappointment. and nostalgic treats then Dottys is the place for you. comfy and nostalgic surroundings of our beautiful Teahouse in Carshalton village. of up to 8 people. For bookings of 8 people or more please contact us to discuss availability. 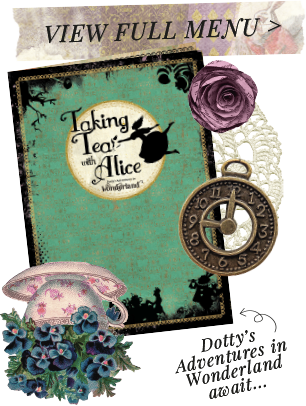 Tumble down the rabbit hole at Dotty’s Teahouse, take tea with Alice and explore our exciting range of Afternoon Tea treats, fit for a Queen of Hearts. The Alice Afternoon Tea experience at Dotty’s Teahouse is like no other, expertly crafted to make your taste buds zing and your inner child bloom. We are so excited to share it with you. Browse our new menu book to start your Wonderland Adventure.